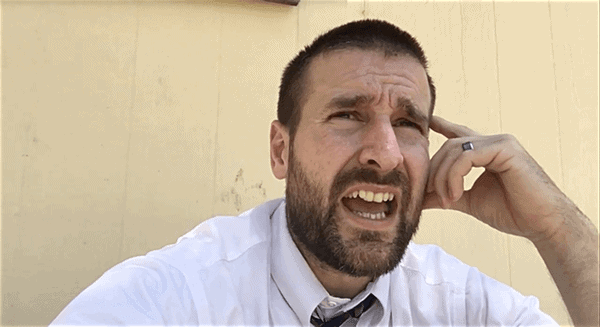 Steven Anderson, the “kill all gays” Arizona pastor who celebrated the Orlando massacre because there are “50 less pedophiles in this world,” has been deported from Botswana, a country that criminalizes homosexuality. Earlier this month, Anderson was barred from entering South Africa after more than 60,000 people signed a petition opposing his visit. 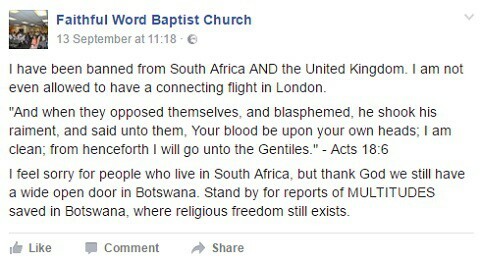 During a radio interview on Tuesday in Botswana, he said that the Orlando victims were “disgusting homosexuals who the Bible says were worthy of death.” He also called for pedophiles and adulterers to be killed and said that the Bible barred women from preaching in church. In 2014, Anderson compared gay people to ax murderers and Hitler and claimed that all gay people are “basically rapists.